The Bronx Barrel Reserves are officially here, and we’re kicking things off with a bang. 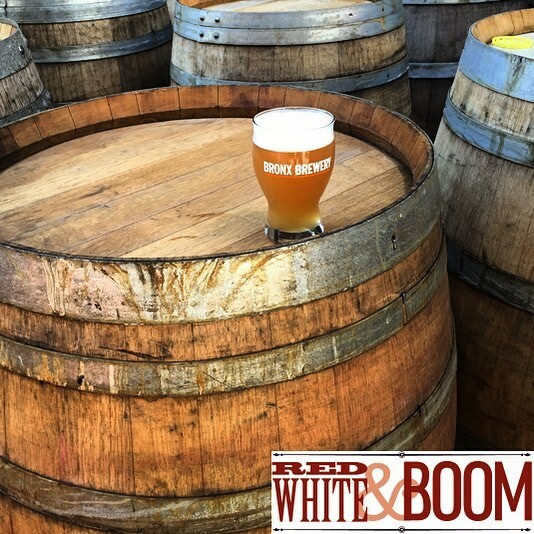 Introducing Red, White & Boom — We took our White IPA and short aged it in NY State red wine barrels, giving even more explosive flavor to a massively juicy brew. Find this one on tap throughout NY, Jersey and CT this week.